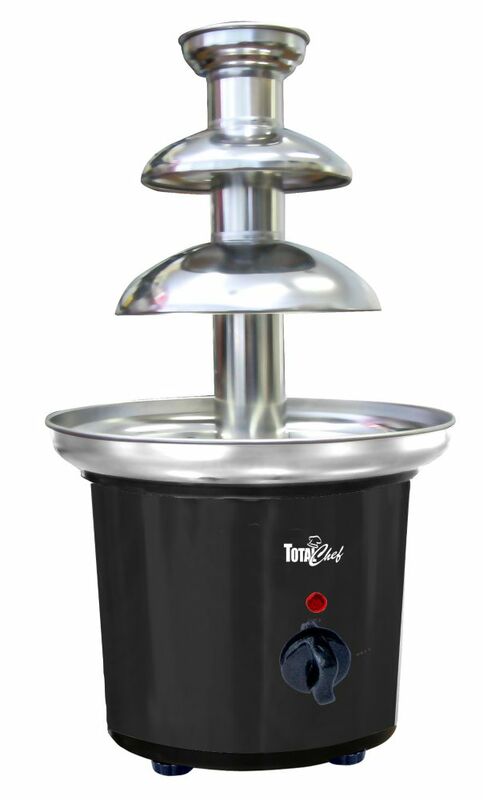 The Mini Chocolate Fountain is the perfect addition to your next party, your guests will love the experience of dipping strawberries, bananas, pineapple, or pound cake or anything into the delightful chocolate waterfall that flows out of the fountain. Perfect for sharing with family and friends. Dip cake, fruit, marshmallows, cookies, pretzels or anything that goes with chocolate. Easy to use, recipes included! Mini Chocolate Fountain, Black The Mini Chocolate Fountain is the perfect addition to your next party, your guests will love the experience of dipping strawberries, bananas, pineapple, or pound cake or anything into the delightful chocolate waterfall that flows out of the fountain.